For a variety of reasons, my research has always been focused on two apparently distant topics: on one hand, analysis of DNA replication in human cells, and on the other, control of gene expression at the post-transcriptional level, primarily involving the splicing of transcripts. It was difficult to imagine that these two very different research fields would overlap. 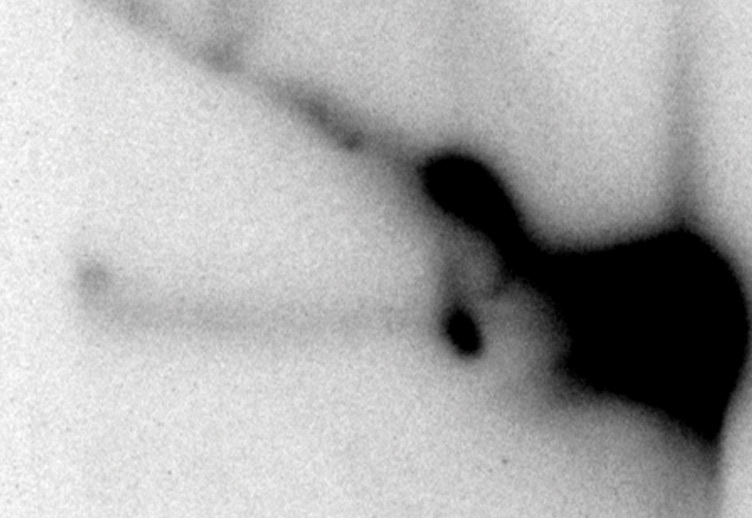 However, a series of papers published over the past decade, many by Prof. Foiani, the Scientific Director of IFOM, have shown that there is a connection: proteins involved in the transcription and maturation of gene transcripts are important for preventing DNA damage during replication. It has emerged that the integrity of the DNA molecule can become compromised when gene transcription and DNA replication are not coordinated, resulting in the collision of transcription and replication complexes. Such a collision can give rise to DNA damage, recombination and chromosomal rearrangements, all events that are intimately connected with the onset of tumors. The factors involved in transcript maturation play an important role in this phenomenon. They bind co-transciptionally to the RNA molecule and then, through a series of complex molecular processes, such as splicing, they produce a mature messenger RNA molecule that is exported from the nucleus to the cytoplasm where protein synthesis occurs. In the process, the transcript maturation factors also control the formation of particular structures, the so-called R-loops, which appear to have a physiological role in the termination of transcription but can be dangerous for genome integrity. R-loops form when the nascent transcript is not coated with proteins, but instead forms a stable hybrid with the DNA strand serving as the template for transcription, which leaves the other DNA strand unpaired. R-loops are fragile elements in the genome because they cause DNA damage and recombination. Therefore, it is not surprising that the cell has many mechanisms for removing or preventing R-loop formation. 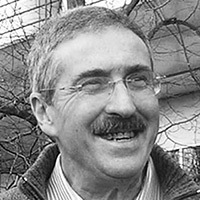 As Director of the Italian National Research Council's Institute of Molecular Genetics in Pavia, which has played an important role in national and international studies on DNA replication, genome stability, transcription and the maturation of transcripts, I thought it was important to introduce a new line of research aimed at analyzing precisely the relationship between replication and transcription. This idea was realized in 2011 when it was possible to recruit Dr. Giordano Liberi, from the Foiani group. Dr. Liberi is one of the leading experts on DNA replication. He is studying senataxin - a protein mutated in two rare hereditary neurodegenerative diseases: one, a form of juvenile amyotrophic lateral sclerosis, and the other a rare ataxia with eye muscle defects (AOA2). Dr. Liberi coordinates a project funded by AIRC and Telethon that investigates the role of senataxin in resolving conflicts between replication and transcription in the yeast model system. This project takes advantage of the close and valuable collaboration with the group of Professor Foiani at IFOM. In 2012, the first joint IFOM-IGM article was published, with Liberi as the last author. It was a technically sophisticated article full of implications. Senataxin functions as a police officer 'directing traffic' during replication of regions of DNA that are particularly 'busy' from the transcriptional point of view. A role had already been demonstrated for senataxin in solving the R-loops that arise physiologically during the termination of transcription. Liberi's research shows that the protein interacts directly with the replication complex and that this interaction is crucial for removing the R-loops that accumulate as a result of the clash between the replication and the transcription machinery. Senataxin is the first protein shown to play a role both in the termination of transcripts and in progression of the replication fork, indicating that a strong connection exists between the two phenomena. It is conceivable that in the future other multitasking proteins will be identified that have roles in transcription, replication and transcript maturation. In fact, this is one of the topics at the leading edge of research. It remains to be determined whether its activity is important for the onset of neuronal diseases and if so, which cells in the nervous system contribute to the development of ALS and AOA2 ataxia as a result of DNA damage. I want to end with two considerations. The first is of a scientific nature. As the R-loop research demonstrates, much basic research is still needed to understand how the cell functions and to identify mechanisms that prevent the onset of pathologies such as cancer and neurodegenerative diseases. Supporting excellence in research is certainly one of the objectives that we must pursue, also for the progress of the country. The second consideration is more institutional and the strategic choice to forge a relationship between a public research institute, the IGM-CNR in Pavia, and a private one, the IFOM in Milan. This is how the signing of the Memorandum of Understanding in 2012 should be viewed. It involves not only the activities of Dr. Liberi, but also other researchers, foremost Dr. Fabrizio d'Adda di Fagagna who was hired with a fixed-term contract as a principle investigator at CNR. Today, research in Italy is going through a very difficult time and we need to focus as much as possible on quality in order to encourage research and give hope to the country. The ability of a public research center to recruit excellent scientists among those selected at IFOM may represent a good opportunity. It can support precarious promising researchers, while providing them access to the High Tech facilities at IFOM.